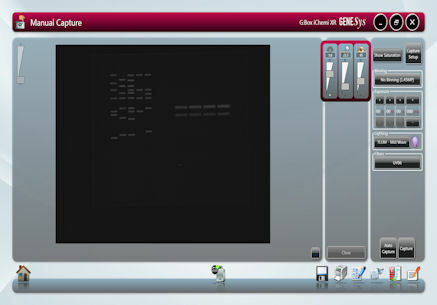 From the opening screen the user can select the mode of operation - Auto or Manual. 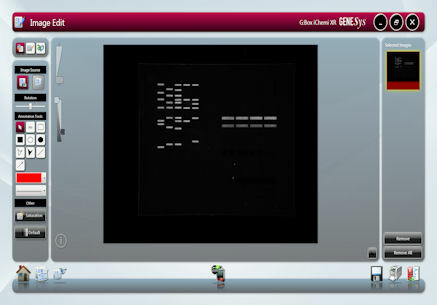 It is also possible to access the image browser and enter the edit screen to work on previously stored images. 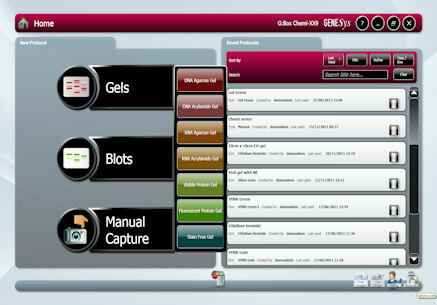 Previously stored saved protocols are shown on the left hand side of the home screen. 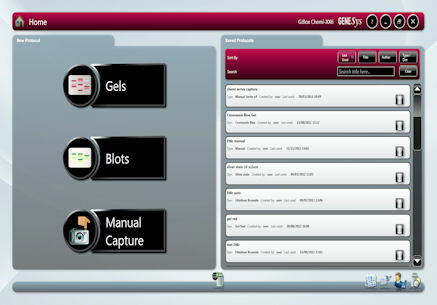 Once the dye has been selected then the system will automatically configure itself to capture the best possible image of the sample. 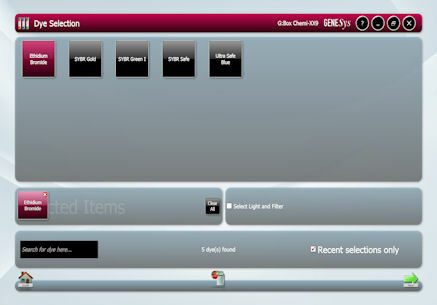 The lighting, filter and camera exposure settings are all automatically adjusted for the sample type. 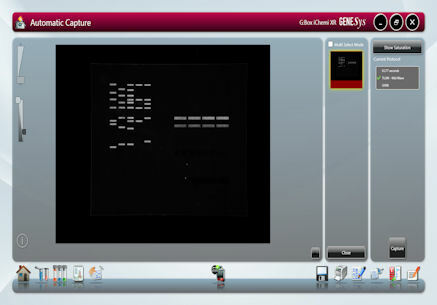 The captured image is displayed in the main screen with small thumbnail images of the current and previous images (either opened or captured) shown in an image 'pool'. Note the icons at the foot of the screen which enable previous pages to be selected.